I hate paying auto insurance. I get the idea that it is there for if and when the unfortunate should happen, but I’ve been driving for close to 20 years now and I’ve had to use my insurance twice. Both times for a cracked windshield that would have cost me a total of $800 out of pocket. If I go back and total up how much I’ve paid in car insurance premiums over the past 20 years, the total comes to roughly $16,000. That’s some serious money. Of course, I’m not going to go out and cancel my auto insurance because of this since first, it’s state law that I have it and second, I would rather pay out that $16,000 than have to fork over hundreds of thousands of dollars should I get into a serious accident and need costly medical procedures. Even with this said, there are things that every one of us can do to ensure that we are getting the most discounts on our auto insurance. This post is going to walk you through 5 ways to lower your auto insurance rates, allowing you to invest more of your hard earned money. This is an easy change to make to your auto insurance. The higher your deductible, the lower your premium. The reason is simple: you are shifting more of the burden to pay on you. As a result, your insurance provider will charge you a lower premium. But, what should your deductible be? Ideally it should be $1,000. I realize though that not everyone has an extra $1,000 laying around to pay the deductible should they get into an accident. Therefore, you should start with $500. Then, make it a point to save $1,000 more in your emergency fund so that you can increase your deductible to the recommended $1,000. When you make this simple change, you could cut your premium 15-30%! If you are paying $1,200 a year in auto insurance coverage, you are looking at a potential savings of over $350 a year. When you get into an accident with another vehicle, your collision coverage is what takes care of repairing your car. As your car ages, it loses value. Eventually, your car’s value is worth less than the amount you are paying in collision coverage. At this point, it makes sense to cancel your collision coverage. Think about it this way: Let’s say you are driving around in an old beater that is worth $500 and you are paying $1,000 for collision coverage. You get into an accident and the car is totaled, meaning it would cost more to fix it than it is worth. The insurance company will see what the value is of your car, $500 and pay you that money. This sounds great, but you already paid the insurance company $1,000! You lost $500 by having collision coverage. The solution is to pay attention to the value of your car. There are many free resources out there that will give you rough estimates of your car’s value. When you see that your car is worth less than what you are paying in collision coverage, it’s time to cancel the coverage. I see my friends do this all of the time. They want a new car, so they buy a new car. No problem right? Then they call their insurance agent and find out that their insurance is going to double. Some freak out. Others are so in love with their new car, they don’t care about the cost of insurance. Before you buy a car, regardless if it is new or used, you need to talk to your insurance agent first. Find out how much it will cost to insure the car and then see if you can afford that. Back in the day, I wanted a brand new Acura RSX. I was about to buy it, but called my insurance agent first. I found out it would cost me close to $2,000 a year to insure it since it was a sports car and I was a young male. I almost had a heart attack. I couldn’t afford that much and I refuse to pay it even if I could afford it. The bottom line is this: know your costs before signing on the dotted line. Where you live has a lot to do with how much you are charged for insurance coverage. If you live in a large city, like Chicago or Houston, expect to pay a lot more for insurance coverage than if you lived in Kansas. Of course, it doesn’t make financial sense to uproot your entire life just to save some money on auto insurance costs. But it is important to keep it in mind when you are considering a move. Maybe live outside the city instead of in the heart of the city. Doing so could save you hundreds on car insurance. As I mentioned with my Acura RSX experience above, the cost for auto insurance has a lot to do with the car. The sportier and faster the car, the more you are going to pay, even if you are a good driver. A few years ago, I bought a Subaru WRX. It’s a small car that is a blast to drive. As I said at the start of this post, I’ve never gotten into an accident. But my insurance premium for that car was through the roof. Why? Because a lot of parents were buying this car for their teenage sons and kids were modifying the car and wrecking it. As a result of this, all drivers of this car were lumped into the basket of “street racer” and premiums went up. By paying attention to the type of car you want, you can get an idea of how much insurance is going to cost you. When looking for ways to lower your auto insurance rates, there are many options. Of course, shopping around for auto insurance is another easy way to save money. You can get free quotes from both Allstate and Liberty Mutual. In just 15 minutes, you could save hundreds! The 5 I’ve listed tend to be ones that consumers tend to overlook. If you follow these steps, I am certain you will find that your next auto insurance bill will be lower than it currently is. I’m really in search for auto insurance with low rates. Now I know I can do something to eliminate what is not needed by me for a coverage. It makes sense but, I never considered where you live having an impact on your insurance. Like you said it doesn’t make sense to move just because of that. However, I really like living in a small town. This is just one more incentive to do so. Thanks for sharing this advice on getting a good car insurance deal! I definitely agree that it is important to have a higher deductible if you want to pay less every year. In fact, I also think it is important to talk to an auto insurance agent about your rates frequently to make sure that you are getting a good deal. Buying a car on a whim may give you some big surprises when it comes to insurance. Keeping insurance in mind when buying a car will help you save a lot of money. You may think you’re only spending a few thousand dollars when you get your first car, but you’re also buying insurance which is a running expense. Thanks for the great tips! Wow. I’ve never imagined it would cost that much to pay for insurance. These tips can be put to good use once I decide buying a car in the future. Thank you for this post Jon! Wow, that is really interesting that you should actually cancel your collision coverage. I would have never considered doing that if I hadn’t read this article. My wife and I are in the process of getting insurance for our new car. We just want to make sure that we are covered in the case of an accident. That higher deductible actually sounds like a good idea. Are you able to and it is as much as you want and progressively get to 1,000? This would be better for me as I am currently at a job that doesn’t allow that for me right now? That is why I never understood why people wanted fast cars. 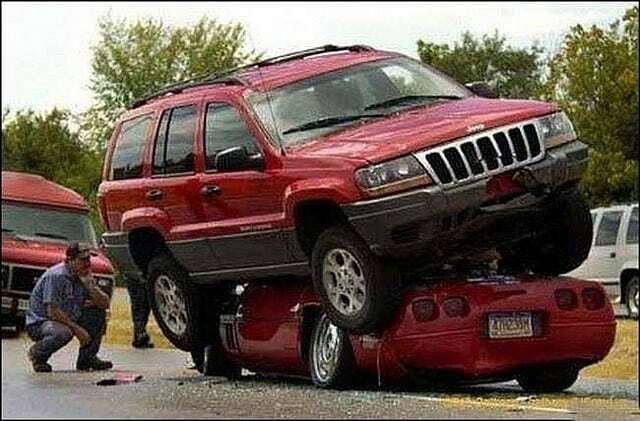 They are going to be paying more money if the insurance. Not only that, but how after are they going to go super fast? I am just trying to look for the lowest rate possible. Thanks for the advice on lowering home and auto insurance rates. I never thought about the balance between the deducible and the premium as a way to save money. I should set aside $1000 like you suggest, and save that in case i need to pay the deductible. I am a very safe driver. My record doesn’t even have a fender bender. For years I paid for services like collision and such. At my age, I might not need it anymore. Is that something in the policy I can just up and cancel, or will I need to wait until I renew? Knowing the car you drive is a big tip for helping with auto insurance. Insurance rates differ based on the kind of car you drive, so doing a little bit of research before you buy can help to lower the cost of ownership. If worst comes to worse, talk to an insurer about auto insurance coverage. Thanks for the tips. I will have to use these when I look for new car this coming month. I never even thought about the fact that insurance is different depending on what kind of car you buy. There’s a couple I’ve had my eye on, and now I’m probably going to have to re-think both options because I want to make sure my insurance costs aren’t crazy. Do you have any tips for finding out the cost in advance? I definitely agree that shopping around for insurance is a great way to save money. In the past, I actually did go with the first company I talked to. It resulted in me paying a much higher premium than necessary for months. I will never make that mistake again! Spot on, Jon. I would just like to add that young drivers can make a considerable amount of savings if they have a driving course under their belt. For instance, Liberty Mutual offers driving training course discounts to teenagers. This can literally save 10% on overall premium.